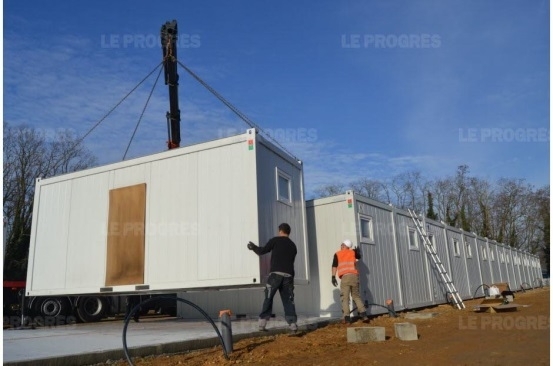 Despite the reluctance of the Mayor of the suburban area of Saint-Genis-les-Ollières and his going to court in order to terminate the building project of a Roma village, the court declared that the construction activities should not be suspended since the validity of the building permit could not be questioned. The 10 hectare site of the Roma village is expected to welcome 20 Roma families, that is to say nearly 80 people, in the framework of a vocational integration program managed by the Rhônes prefecture. This program entitled IEE ‘Integration through Employment and Education’ follows the former and very successful project Andatu which runned from 2013 until 2014. This new program is subsidized by a 70% EU cofunding through the European Regional Development and the European Social Funds. With a budget of 3 million euros over three years, the program will support Roma families providing them with decent housing, food, training courses towards employment, schooling for children in different Roma villages before having them attending local schools. There will also be an emergency shelter open to disabled and sick people in each village. The ultimate goal is to have those families find a job and a social housing. Every family that will be accommodated in one of the Roma villages volunteered to be part of the IEE program.